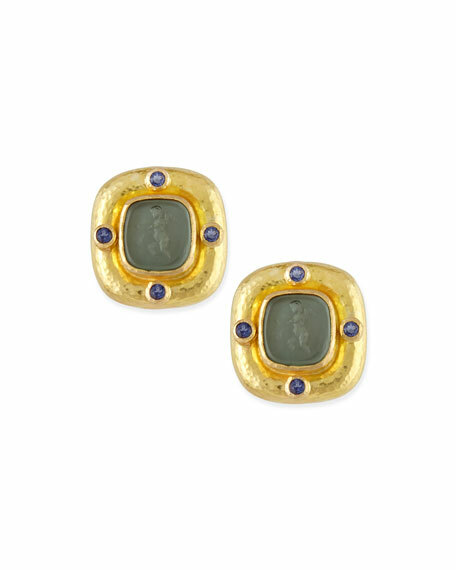 19-karat yellow gold bezel with faceted 2mm iolite and hammered finish. Smoke Venetian glass center with putto intaglio and mother-of-pearl backing. Omega clip with fold down post back for clip or pierced option. Intaglio made with modern glass using 17th century glass molds. 0.25 total iolite carat weight. 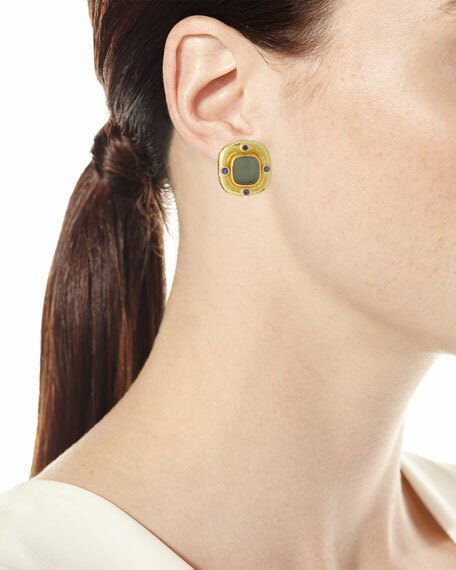 Based in Virginia, Elizabeth Locke began creating her neo-classical jewelry in 1988. She draws on a lifelong fascination with the jewelry of ancient Etruscan, Greek, and Roman civilizations. Locke personally designs each piece, which is then brought to life by dedicated goldsmiths. For in-store inquiries, use sku #910760.